Mention Terengganu and most people would think about its many beautiful islands with white sandy beach and crystal clear waters that is perfect for snorkelling and scuba diving. Pushed further, keropok lekor and nasi dagang, two of the most famous local delicacies would come to mind. And then the Floating Mosque and Crystal Mosque would probably follow suit. The latter is becoming a popular landmark in the state capital, Kuala Terengganu. 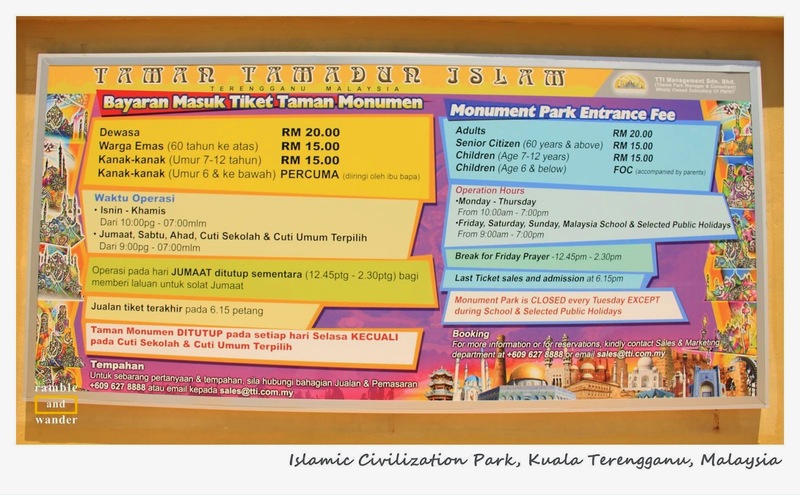 However, not many realise that it is actually part of Taman Tamadun Islam, or Islamic Civilization Park, Terengganu that also offers an interesting Monument Park. The Monument Park at Islamic Civilization Park showcases some 22 monuments from countries around the world. These replicas of important landmarks set the stage for an interesting study and appreciation of history of Islamic civilisation and architecture. While these are only replicas, the scale – ranging from 1:1.7 to 1:22 – compared to the original buildings, has allowed for quite some details to be incorporated in them. For example, the inside of the dome at Dome of the Rock as shown here. These are some photos of the monuments that can be found at the park. A walk through the park is like a walk through history around the world. If you've been to some of these landmarks before, it might just rekindle the beautiful memory of your visit. If you haven’t, you might just come away not just with more information, but also inspired to make the dream trip to see those landmarks for real. Until then, Islamic Civilization Park is as good as it gets. Just let your imagination runs wild and you’d be transported to a world of architectural grandeur from the past. Have you been to Islamic Civilization Park before? What do you think of it? Which monument do you like most? Haven’t been here? Would you like to visit it in the near future? Taman Tamadun Islam Terengganu/ Islamic Civilization Park, Terengganu Official Website. For more photos from the park, check the album on Ramble and Wander Facebook Page. My appreciation and thanks go to Tourism Terengganu and Gaya Travel Magazine for the opportunity to visit the park during Terengganu International Squid Jigging Festival 2014. Wondering what to eat whilst in Kuala Terengganu? Read this recommendations on Where the Locals Dine in Kuala Terengganu. Already visit there last 2 week. A very beautiful place while u can eat keropok lekor. Dah ni apa mimpi pula tetiba je ni, kak? Haha! Mkn kt tepi sungai @ tmn tamadun tu sedap ehh... in fact all over kt mmg sedap ah mkn... :) food paradise!! Have planed to go this March with my friends, will surely visit the places. Thganx for sharing, too much excited. Nice! Don't forget to check out the nearby Terengganu Museum too! 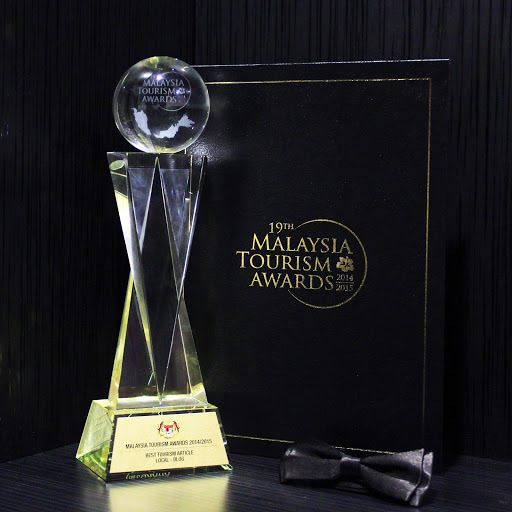 It's one of the best museums in Malaysia and possibly the biggest in the region. Thanks for sharing! Visiting Terengganu next week.